Now that weed is a legal, recreational, consumable entity, let’s take a hard hard at prohibiting the smoking of ANYTHING in our parks. I would suspect people who consume tobacco products are 10 to 50 times as likely to be in the park as marijuana smokers. It’s disgusting the amount of discarded ciggy butts littering our parks and sidewalks. Let’s ban ALL smoking in public parks. Most municipalities that care about the health of their population, or how clean their parks are, have bylaws that ban smoking in parks. Imagine sitting on a bench enjoying a beautiful sunny day and Bob and Rick cop a squat with their Timmies and light up. Who do you think moves? Then they drop their dirty butts, step on them and walk away. Yet what people argue about are pet owners who don’t pick up their dogs’ poop. I’m not advocating for NOT picking up pooch poop, I’m just saying smokers who drop butts all over Centennial, Germain, Canatara, Tecumseh and dozens of smaller parks are far more offensive than the rare dropped roach (if you know pot smokers, no roach goes un recycled), or the careless dog owner who leaves his doggy doody unretrieved. Goose poop is a bigger poop issue, but we can’t seem to get that problem rectified without open season on the Canada goose. So yes, let’s ban smoking of anything in parks with heavy fines for those who smoke anywhere and litter. Let’s make the fines equal to those for not scooping dog poop. What a cleaner and healthier outdoor space we would all enjoy. Pot is now legal, so are cigarettes, and smoking is smoking. I can’t see banning one without the other. Who on the new city council has the gumption to tackle this one? And padded paths where freedom goes. To quench dry hearts, yours and mine. That shackle in war time. Now honored among our dead. Yet still the life sap flows. Canadian pulses beat Taps then. Remembrance Day must never end. Sir: Seeing the growth in support for the Al Weiss & Friends musical fundraiser has been exceptional. There has always been support from the community for my family’s musical initiatives, and the 4th benefit held on Oct. 13 at the Imperial Theatre was no exception. My mom Michelle was diagnosed with breast cancer six years ago and it has been an intense and emotional thing to see a community mobilize behind my family. The concert raised $38,000 for the Breast Cancer Society of Canada and mammography department at Bluewater Health, bringing the total raised to $90,000 overall. This year’s concert felt different. The energy was high and the crowd was attentive and dynamic. The opening number featured brother Parker and my dad. Sitting beside my mom and watching them play together was an incredibly special moment for me. Something specific about that performance created an intimate moment for the audience, and especially for my family. It brought the concert series full circle. The musical lineup, which included vocalist Denise Pelley and harmonica player Mike Stevens, was exceptional, and all the performance beyond expectation. I want to thank all the musicians, sponsors, donors, volunteers and audiences who have made these shows possible and successful. I want to thank my mother for being so brave to share her story and allow a movement to be created from her struggles and successes. And lastly, I would like to thank my father who has the ability to use music to bring people together, for fun and for a good cause. Sir: Sarnia-Lambton MPP Bob Bailey and Infrastructure Minister Monty McNaughton were shown recently, along with the rest of the Progressive Conservative party, clapping and cheering the repeal of Bill 148. They were cheering for the removal of protections for last-minute scheduling changes. Cheering for the removal of workers being paid to be on call, and not actually being called in. They’re cheering the change of 10 personal emergency days (two paid) to three personal sick days, three for family responsibilities, and two for bereavement (all unpaid). So if you’re single, and no one in your family dies, three unpaid sick days a year. They’re cheering the removal of equal work, equal pay, which gave part-time and casual employees a right to be paid the same as full-time workers doing the same job. They didn’t just repeal these worker protections. They stood up and cheered. For the people? Bob Bailey and Monte McNaughton should be embarrassed. At what point do they change the name to the Regressive Conservative Party of Ontario? The unions might have been a significant element in Bradley’s re-election, and some but not all of the largest voting block — the 16,000 over the age of 56 — voted for Bradley. But at 49%, the voter turnout was the largest since 1994. Blaming the electorate for unwanted results and insinuating that whoever voted for Bradley is not a decent citizen, smacks of the Trumpian statement of “rigged elections.” Surely our standards have not yet fallen that low. This statement is an insult to the people of Sarnia and to all peoples that suffered from Nazi persecution, as mine did. 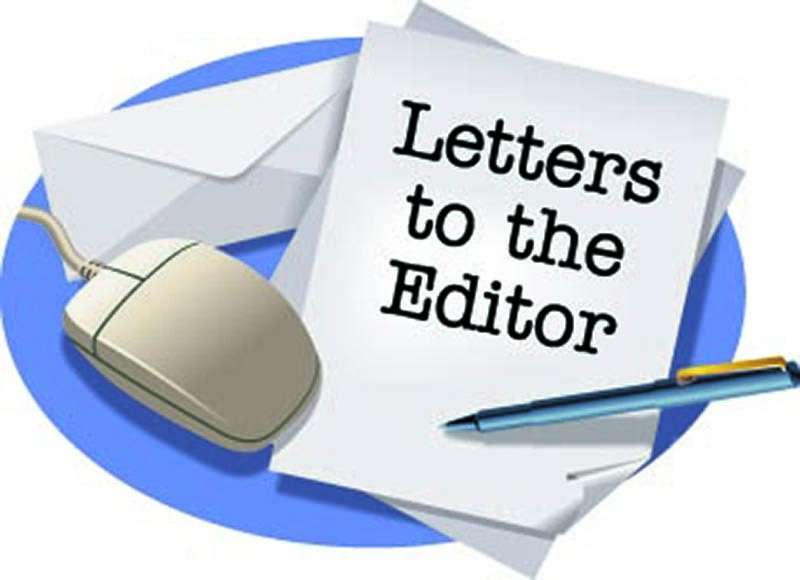 Sir: I presume from Peter Clarke’s letter (Nov. 1) that because I was one of the 49% who voted in the Sarnia municipal election I am immorally indecent. I am a senior who carefully reads the platforms of potential council members and I exercise my vote according to my informed conscience. I am a proud granddaughter, daughter and daughter-in-law of three Veterans and would never presume to capitalize on their duty to King and country to further a point. I take exception to his inferences that those who took the time to vote according to their conscience deny the Holocaust. Attention should be drawn to the fact that dislike of both the mayoral candidates was palpable. I did not learn fair play and decency as a member of the armed forces, but I learned fair play at home, on the playing fields and in the classroom. I, along with many others, was taught to win humbly, lose graciously and congratulate the winners with sincere praise. I congratulate our new council and look forward to our city growing through their dedication and guidance. Sir: I just read an article about a gentleman who felt totally surrounded by advertisements. He didn’t mention television, which is the worst, with more ads than program. Recently I was watching a very sentimental scene and an ad comes on right under the picture. It is totally spoiling TV for me, although it does me time to go to the kitchen for a snack, get into my pajamas and read some of my book. It even gave me time to write this letter. Am I the only one who is so upset by this? Wish there was something that could be done to control it. I congratulate Mr. Villanueva on his academic and career achievements, and on his family’s dental health, but fortunately scientific measurements on the efficacy of fluoride do not pivot on personal observations of one man using his family as an example. “An apple a day keeps the doctor away.” Says who? Maybe his family’s dental hygiene, diet or heredity contributed? If it is primarily hygiene and diet, we can all follow their example. Ditch the fluoride, much of which is showered, washed or hosed away with no dental contact. I don’t expect my drinking water to be infused with a low dose of aspirin to protect the health of those at risk for heart disease, which could stem from diet, lack of exercise or indeed heredity. So why should my right to determine what I ingest be contingent on the levels of tooth decay brought on mainly by lifestyle choices? Sir: The Oct. 25 letter regarding fluoridation from Juliet Guichon at the University of Calgary sparked my interest. What I find interesting is the City of Calgary doesn’t add fluoride to its water supply. I have a one-year-old granddaughter living there and the family’s dentist advised that fluoride in toothpaste was more beneficial than fluoride from municipal water supplies. My main concern living here in Sarnia is chlorination. How many of you have had visitors refuse to drink tap water due to the strong, offensive taste of chlorine (sodium hypochlorite)? I rank this city as having the third-worst tasting water I have come across. Our cat wouldn’t drink it, nor do I. My wife tolerates filtered water, but I reluctantly turned to bottled water. A question I have is why are 24-packs of 500 ml bottles $2 less costly than a large plastic jug at $5? The jug is nine cents per litre more than the smaller bottles. Let’s have a water forum and invite the Canadian Bottling Association and grocers to it. Could it be that other municipalities have different types of onsite storage reservoirs to circulate the water? I took one water course and was taught taste is not a factor in determining the quality of water, only safety factors to ensure water quality. I hope a water forum will be a reality in the near future. Sir: A new city council is in, and the backstabbers at City Hall are gone. It’s now time to tear down that damn wall and limit the excessive power of city administrators and certain supervisors. When it comes to the transit levy, we were told that we live within 400 metres of a bus stop, as the bird flies, and administration supplied a map showing a bus stop that is not where it is really located. From my house, it’s 800 metres by car to where they said it was, and 1,100 metres to where the bus stop actually is. I don’t know how far that is as the bird flies, but I know birds don’t ride the bus. Are the transit maps a deception, a misconception, or just a tax grab? The solution is to provide a map that shows where the bus stop really is and refund the money. 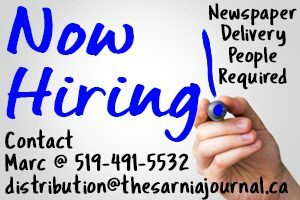 Of our new councillors, one has spent years knowing the streets of Sarnia and another has professionally accounted for money for years. With the help of the rest of the council, the result will become obvious that citizens have finally won back our city.